Taos Pueblo, Santa Fe skiing, and Shush Yaz Gallery, Chaco Canyon, Gila Cliff Dwellings, Alburquerque Ballooning and Indian Pueblo Cultural Center, Sandia Peak Tram, Bosque del Apache NWR, Salinas Missions, National Radio Astronomy Observatory, Roswell UFO Museum, White Sands & Roadrunner. 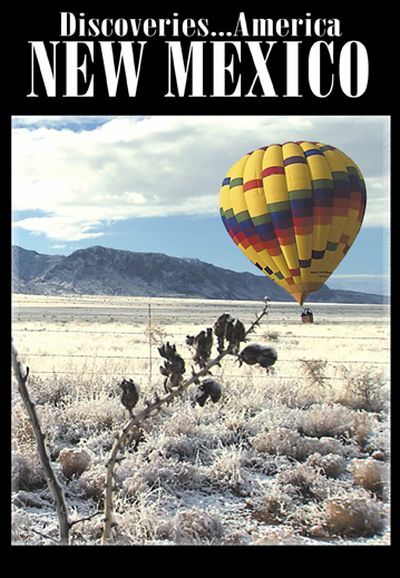 A spectacular desert landscape with ruins and relics of ancient cultures� invigorating outdoor activities�world famous cuisine� & nighttime skies that invite stargazing� these are New Mexico. The mystique of the state�s Native American tribes is intrinsic to the Land of Enchantment. Pueblo Indians are the only Native Americans to continuously occupy their traditional lands, pueblo style of architecture is imitated statewide. Taos Pueblo dates back several centuries - it�s the largest surviving multi-storied pueblo in the country. New Mexico�s Old Missions offer clues to the history of the region & cultures that once existed here. The state has plenty of outdoor activities including high altitude skiing at Taos Ski Valley and Ski Santa Fe. Just outside of Albuquerque the world�s longest aerial tramway takes visitors to a unique urban skiing experience at Sandia Peak. History is everywhere in state capitol of Santa Fe. Walk from the oldest public building - the Governors Palace - to the oldest church in the country � the San Miguel Mission. The city remains a haven for artists with hundreds of galleries that specialize in everything from Native American to contemporary art. In Albuquerque the skies explode with color during International Balloon Fiesta, the world�s largest and most photographed balloon event. Indian Pueblo Cultural Center comes alive with baking of Native American breads and pies, and traditional dancing. At Bosque del Apache National Wildlife Refuge. sunrise fly-out of Sandhill Cranes and Snow Geese is perhaps the greatest North American birding spectacle. Clear, unpolluted skies of New Mexico have also attracted stargazers. At Very Large Array, signals from multiple antennas are combined to create some of the most detailed images of space ever captured. UFOs are an indigenous phenomenon, particularly the town of Roswell, which thrives on UFO business. UFO Museum & Research Library is dedicated to shedding light on the 1947 Roswell Incident that involved a purported flying saucer and government cover-up. From science to science-fiction�magic, mysticism & mysteries�these are just a few of the elements that make up the Land of Enchantment.